Happy Friday! Anyone have exciting plans? Me, after work gonna make spaghetti squash for dinner and find something to binge watch on Netflix. 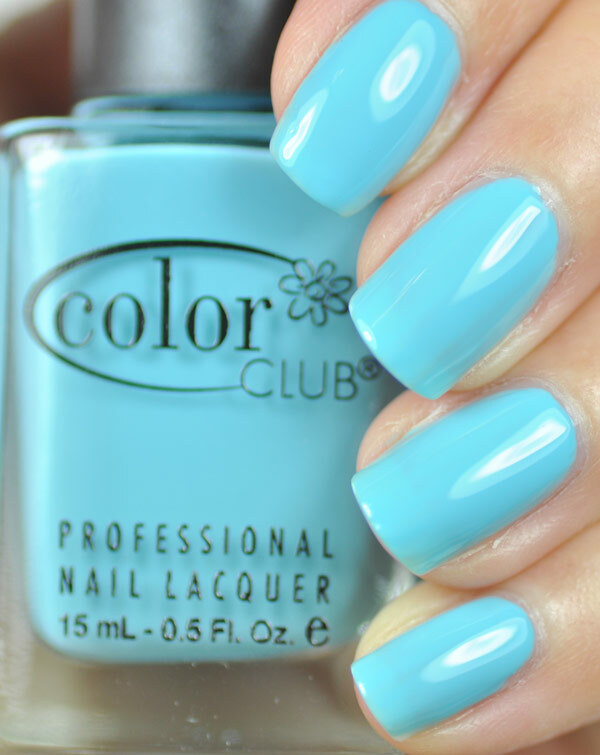 I have a couple of Color Club shades to show you today. Evolution 3 coats. Pale aqua blue creme. It applied thin at first, but by the 3rd coat it was very opaque. I think this is such a pretty color, I can't wait to wear it again! I did black french tips with this to show the color of the glitter. It flashes pink, blue and purple. This is a great way to spruce up an old mani. You can purchase Color Club from their website here. They are $8.00 each.